Muffins are great but I always find that store bought muffins are way too sweet. 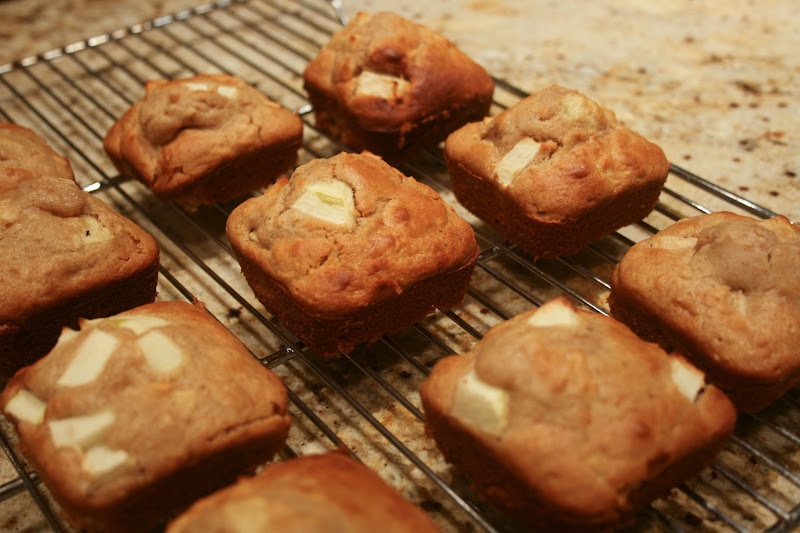 I was originally setting out to make apple bran muffins but scratched that idea all together and started from the ground up on this recipe. It was a total shot in the dark (that started with one large egg and some makeshift buttermilk) but it turned out great! The key to this recipe is using tart apples. 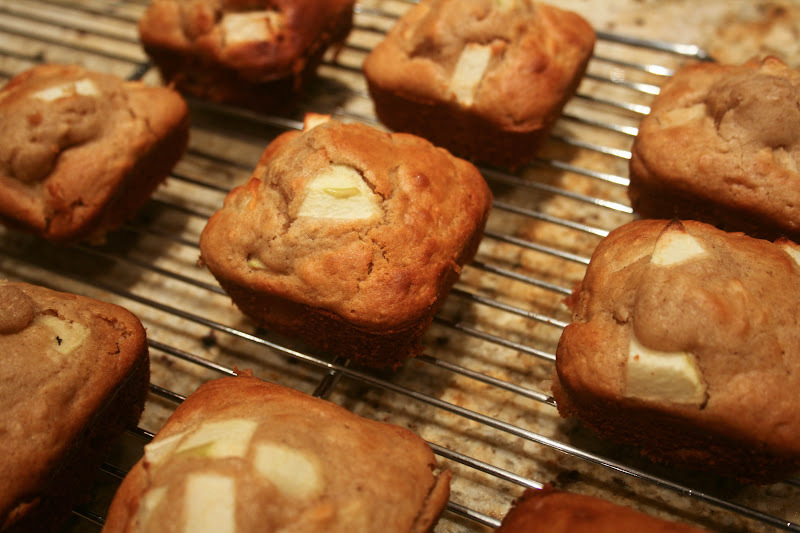 I like baking with granny smith, but feel free to use whichever type of apple you'd like. Try adding walnuts or cranberries. 2 medium granny smith apples, diced In a large bowl, beat the egg. Add the buttermilk. If you are using a buttermilk substitute, make sure it is sufficiently curdled before adding. Mix in the honey and melted butter until completely combined. Sift and add the dry ingredients and mix until smooth. Add the apples. In a greased muffin pan or a non-stick pan, spoon the ingredients to the brim. Bake for 18-20 minutes or if using a convection oven, bake for about 10 or until the tops are golden and a toothpick inserted into the center comes out clean. *Milk curdled with lemon juice or white vinegar works as a great buttermilk substitute. For one cup of buttermilk use one cup of milk and enough acid to curdle the milk.